Tis the Season… For Chimney Pests! This holiday season be on the lookout for more than just Santa coming down your chimney! Be sure to give your fire place a full checkup before lighting your first fire this winter. A number of critters can find themselves making comfortable homes inside of your chimney. What should you do if you think you have an unwanted guest? Birds that are commonly found in chimneys usually plan to stay for three to four weeks in a nest they will build inside your chimney. Because there are many birds that are protected under different federal regulations, it is important you do not try to harm the birds with chemicals or other dangerous methods. 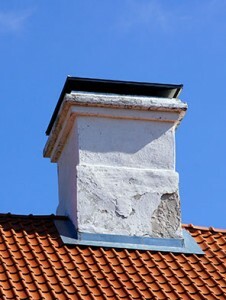 Contact a local technician to assess the situation, determine what type of bird has made a home of your chimney and decide which tactic to remove the bird and most likely its babies. Not only will a technician help you get rid of the pests, but they will do a full clean up and remove nest remnants from the chimney. If the pest returns after everything has been cleaned up on them, they will likely not choose to nest there again. A common pest known for digging through our garages and being particularly confident around humans is the racoon. This pest is very problematic if it finds its way into your chimney. Most often a female racoon will choose small safe places like chimneys to birth and care for new born pups. If the mother has succeed in getting inside the chimney and through the chimney damper, it is likely that these pests will eventually make it into your home. This pest is one you do not want in your home, they often are carrying flees, ticks, roundworm and rabies. The most human ways you can remove a mama racoon and her cubs from your chimney is with a live trap or by putting predator urine in the fire place so that the smell creeps up the chimney shoot. This smell can often be quite potent and may end up stinking up your home for a couple of days. Racoon trapping is illegal in some places, so it is always best to call in a professional to get the job done. They have the best tools to get the job done and will be at the lowest risk of contracting and disease or being harmed by the racoon. The best way to avoid these situations in the first place is through prevention tactics such as installing a chimney cap. This closes off the top of your chimney, so that you are not inviting any pests inside. The best caps have attached wire netting that will act as an additional barrier between the pests and your home. If you take these proper measures, you will avoid pests that can be quite a nuisance, from unpleasant odours, noisiness, and damage to your chimney or animals breaking into your home. This entry was posted in Blog on 2014/12/01 by Any Pest.